Battle players from around the world in this exceptional shooter game that’s a treat to play. Choose from multitudes of different weapons, each capable of wreaking havoc on your opponents. Play on a variety of different maps and discover strategic ways to annihilate your foes on each of them. 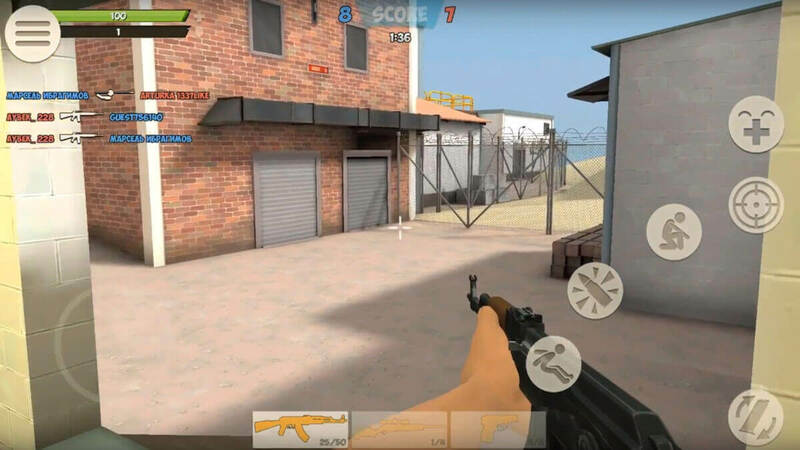 Contra City Online is a fun and exciting first person shooter game that players can enjoy in the comfort of their mobile devices. While the game doesn’t do anything innovative or out of the ordinary, we still recommend giving it a shot because it manages to deliver the full-fledged shooting experience to players in the comfort of their mobile phones so they can enjoy it no matter where they are. 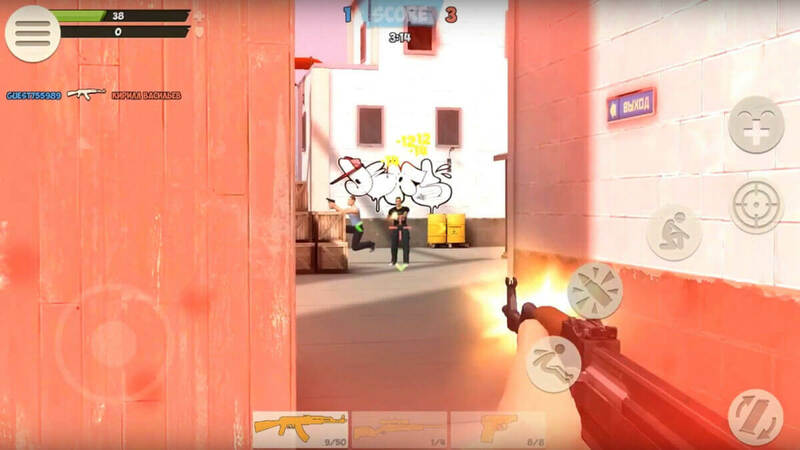 If you’re unfamiliar with FPS games then Contra City Online has you covered because it starts off with a series of tutorial matches that have been designed for the sole purpose of teaching players how the game works. The tutorial matches are highly informative so, as long as you pay attention during them, you’ll be able to develop a firm understanding of the game’s mechanics. Onto the gameplay, Contra City Online is extremely fast-paced and intense so you’re going to have an absolute blast playing it. The core shooting mechanics are extremely well implemented and the hit detection is some of the best we’ve seen as far as mobile based shooting games are concerned so, as long as you’re aiming your shots properly, you’ll definitely be able to take out your opponents. Weapon recoil is also a factor so, unless you’re up close and personal with an opponent, you can’t expect to spray them down by holding the fire button. The variety of weapons in the game is spectacular and there’s a weapon for every single kind of engagement whether it’s long range, medium range or short range. We highly recommend mastering using multiple kinds of weapons to ensure that you can effectively deal damage no matter what the distance between you and your opponents is. 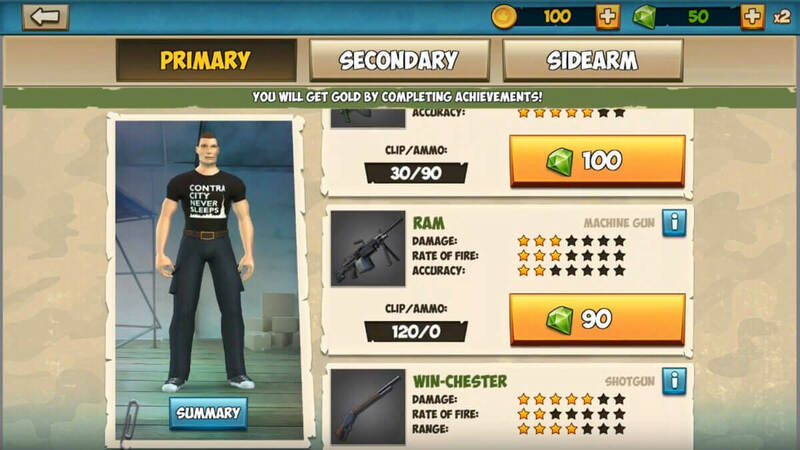 On top of the exceptional weapon variety, Contra City Online comes with a massive array of maps for players to enjoy as well as multiple different game modes which ensure that the gameplay won’t become repetitive no matter how much time players sink into the game. There are the standard shooting game modes like Team Deathmatch and Capture the Flag and, alongside these, there’s a unique Zombie mode as well that’s actually quite enjoyable. The visuals of Contra City Online do not cease to impress because the game’s weapons look realistic, the maps are filled to the brim with high definition textures and the character designs are top notch. The special effects of the game don’t feel as impactful as you’d hope them to but this is a minor issue that doesn’t hinder the overall experience all that much. Contra City Online is free to download and play but it comes with its share of micro-transactions through which players can get their hands on extra in-game content in exchange for real world money. Overall, Contra City Online is a fun and fast-paced mobile based MMOFPS that’s going to have you hooked for hours upon hours.